I learned as much from playing soccer in college as I did in the classroom. I was trained in discipline, teambuilding, humility and hard work as I practiced and played consistently for those four years. These skills are more transferable to my work life than most of what I learned from my teachers (excellent as they were.) 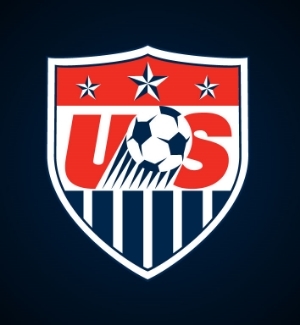 Now in a career as a content strategist and UX specialist, I continue to be inspired by the US women’s national soccer team (USWNT). 1. Perform no matter what’s going on outside the office. US goalkeeper Hope Solo, despite all her drama, shows up ready to play. She is 100% focused. Solo leaves her personal problems off the field. Does this mean you act like a robot at work? No. It means being fully in the present moment—not thinking about what’s happening before work or after work or at another location. It takes practice to pull yourself back into the present moment when your mind wanders. If an outside issue is really affecting the quality of your work and ability to be present, take time off to address the situation. 2. Be authentic. Still fairly uncommon in athletics, US midfielder Megan Rapinoe has been out of the closet to the general public since an interview in 2012. Stop trying to be anything else but you—fully, completely you. Don’t copy others, and don’t suppress who you are. Find your unique identify as an employee or business, and seek the right surroundings where you can be yourself. Doing anything else leads to stress and isn’t sustainable. In business, don’t let your ego get in the way of accepting responsibility and working together to do what needs to get done. Treat others respectfully as collaborators. Don’t demand that your way is always the right way—keep an open mind to new ideas. See what you can learn from those around you. 4. Stop complaining. A major difference between the ladies in the Women’s World Cup and professional men’s soccer players is how they act on the field. Whining to the referee, taking dives, acting hurt when not and general babyish behavior are part of the men’s game but rarely seen when the women play. Don’t complain at work about how much stuff you have to do, your boss, or your coworkers. I remember listening to a co-worker in San Diego whine on and on about the management, and I thought, “We live in the US, you are well-educated, so go get another job if you dislike it so much.” People don’t like to listen to complaining, and it won’t help you in your career. 5. Cultivate grit. When the US team wins, it isn’t always pretty. Abby Wambach, the most prolific goalscorer to ever play for the US, will readily admit that her goals aren't necessarily lovely—but they still count. She is known for her perseverance and courage, the characteristics that combine for grit. Showing up consistently every day, striving to be better, working hard, not giving up when things seem challenging - these characteristics pay off. More wins come from grinding work than flashy moments. Today the USWNT team will take on Germany in the semifinal of the World Cup. Whether they win or not, they’ve once again inspired me with their hard work this tournament. What have you learned from the USWNT?